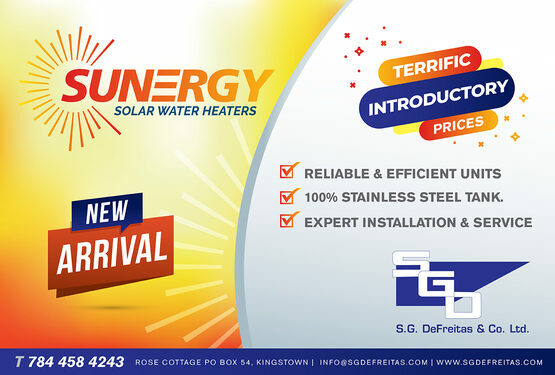 Welcome to S.G.DeFreitas & Co. Ltd. Keep on eye on this page as we announce new products and services as well as updates on what S.G.DeFreitas is doing and what you can expect from us. Browse our site, and see what we can do for you. 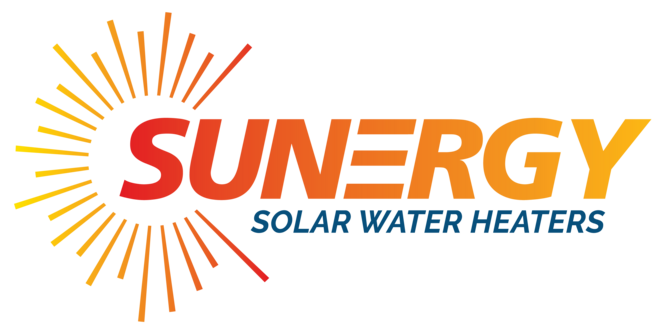 New SUNERGY solar water heaters in stock, available exclusively at S.G.DeFreitas & Co. Ltd. These new systems have insulated 100% stainless steel tanks with stainless steel outer jacket as well. Mounting brackets are all aluminum with stainless steel hardware. 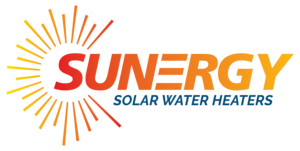 Get a new SUNERGY solar water heating system, and let the sun pay your heating bills. Click here for more information. We have just received our new shipment of Daikin High Efficiency Inverter split units. We have high wall, ceiling cassette, and floor/ceiling mounted available. These units are extremely high efficiency and made by the leading air conditioner manufacturer in the world today. Daikin has been in the forefront of high efficiency units and inverter technology for decades. With our direct partnership with Daikin you can take advantage of their years of experience. So come and see us, and find out which unit is right for you. 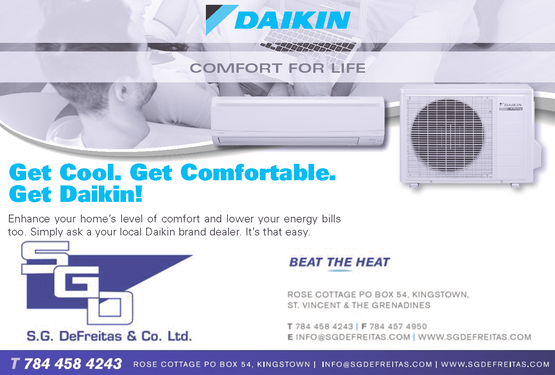 And remember, S.G.DeFreitas & Co. Ltd. is the only authorized Daikin dealer in St. Vincent & the Grenadines. We have just received a new stock of Peake split units, inverter and standard on/off units. 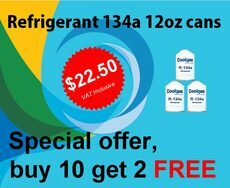 In our continued effort to help reduce ozone depletion along with the National Ozone Unit, all units are available with refrigerant R410A, in-keeping with our decision in November of 2012 to stop all importation of new R22 systems. 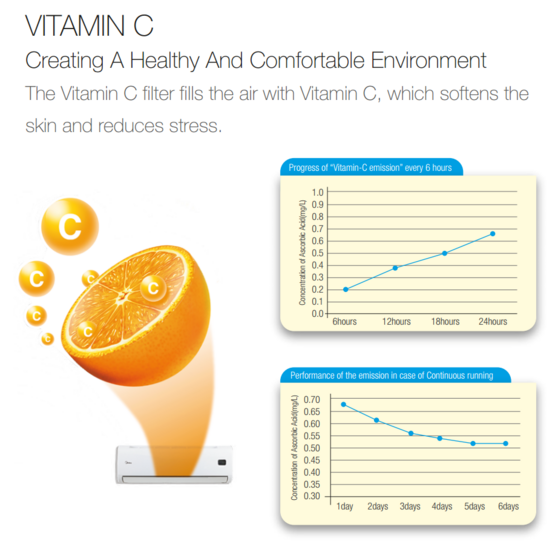 New Peake highwall units now come standard with Vitamin C filters. These filters are impregnated with Vitamin C which is then dispersed into the space when the air conditioning unit runs. The added Vitamin C in the air is absorbed through the skin; aiding in stress relief, relaxation and helps to soften your skin. We have just received our new replacement for R22, Cool50 (R424A). This is a direct replacement, no changes are required to the system. Simply recover the existing R22, vacuum the system, and recharge with Cool50. Information on the refrigerant and procedure to change from R22 can be found here. PT charts will be provided with each purchase of a cylinder. Prices start from $770.00 for 1-2 cylinders, $730.00 for 3-4 cylinders, and $690.00 for 5 or more cylinders. All prices are EC dollars and are VAT inclusive. This position has been filled. We would like to thank all persons who applied. Now in stock, PEAKE inverter units ranging from 9,000 BTUs to 48,000 BTUs. All condensing units come with a factory applied anti-corrosive coil coating, to help get the most out of your unit. Savings range from 30%-50% over a standard air conditioner depending on usage. High wall units, floor/ceiling units and cassette units available; and as we said before, we no longer import R-22 units, so all of these units are using R-410a, the new industry standard for ozone friendly refrigerants. Call us today for a quote, so that we can help you, Beat the Heat. We are now offering our 12oz cans of R134a for the great low price of only $25.00 per can, including VAT. Perfect for refrigerator and automobile repairs. 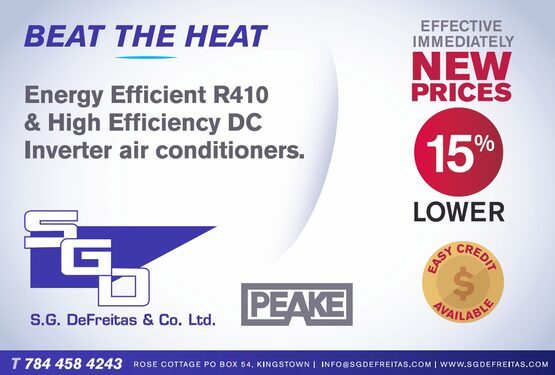 This is the lowest price in SVG at the moment, only from S.G.DeFreitas & Co. Ltd.
S.G.DeFreitas & Co. Ltd. is making the move to offering only "green" products and equipment. We are pleased to announce that we no longer import new R22 air conditioning systems. All new systems will now be either R410a or R407c, both accepted green alternatives. We also offer a wide range of other products to help you be more eco-friendly, all while reducing your energy consumption. Look out for updates to this site showcasing some of what we can offer. And keep an eye out, as we have big plans on helping everyone become more energy efficient. S.G.DeFreitas & Co. Ltd. is proud to announce that we are now your local dealer for Ice-O-Matic ice machines, let us help you with all of your ice making needs.